Prairie Dogs are the coral of the plains, they act as keystone species by providing unique habitat that contributes to the diversity of life. 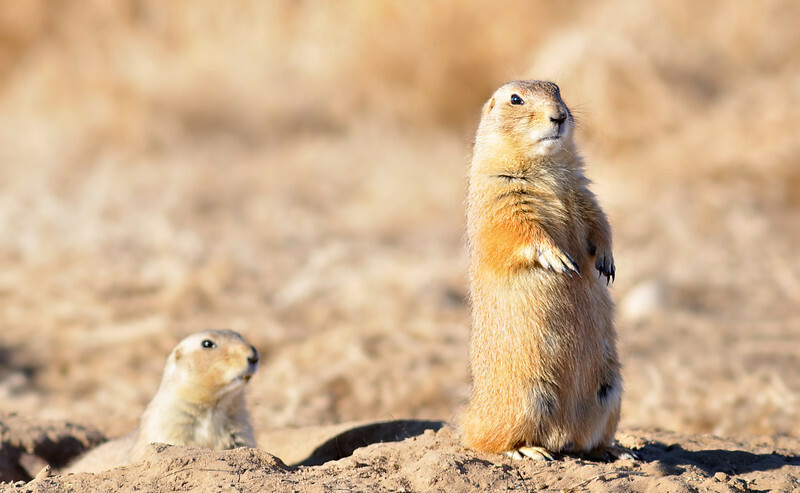 Over 200 other species of wildlife have been observed in or near prairie dog colonies. Some species such as Burrowing Owls and Black-Footed Ferrets absolutely depend on them and would likely go extinct without them. Sadly, these great architects of the grassland are in trouble. Prairie Dog species have all suffered huge population declines of over 90% across their range in the US. Shot Notes: This is a quick handheld capture from out the car window on the way to visit my grandmother at her new digs. The colony was a small one in town one that I happened to by chance catch at the perfect time a few feet from my car window, proof-positive it's always a good idea to have your camera!